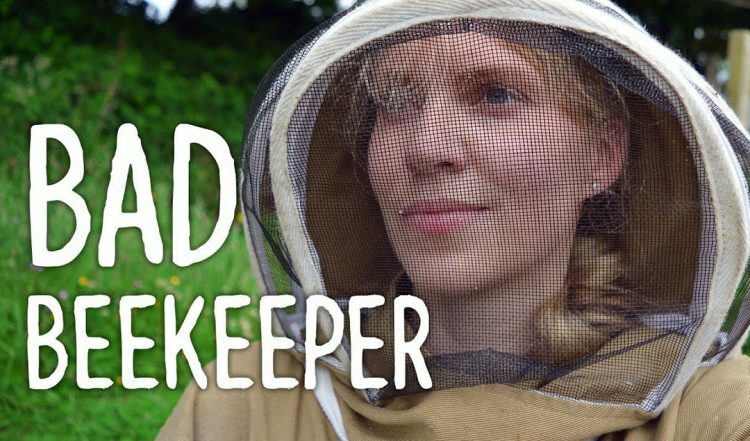 A good beekeeper visits their bees every week between May and July. 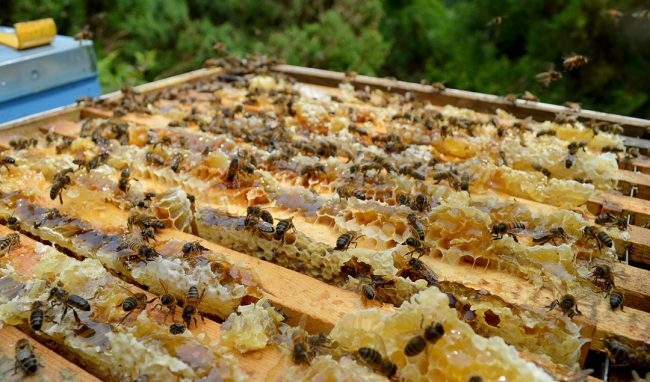 They make sure their bees have enough space, aren’t thinking of swarming, and if they’re lucky they might be able to take off some early honey. I’ve not been a good beekeeper recently. I’ve been traveling and incredibly busy (I mean, who isn’t right?) so I haven’t been up to check on my bees in a while. I knew they were likely needing more space, and hoped that they had honey so I prepared for both. During one of my last visits I was greeted by some pretty weird stuff so who knew what I’d find? As soon as I opened up Bluebell and Primrose I knew that the bees had run out of space. Brace comb was coming up through the crown board and stuck to the roofs of each. Inside, the supers were nearly completely filled with honey. Fortunately I brought empty supers and frames for both colonies so I imagine that they’re busy building on them today. I also placed clearing boards on the hives so that I can take honey off without disturbing the bees. The video above explains the process so much better than I can in words. Clearing boards are a simple and harmless way to clear bees from parts of a hive. 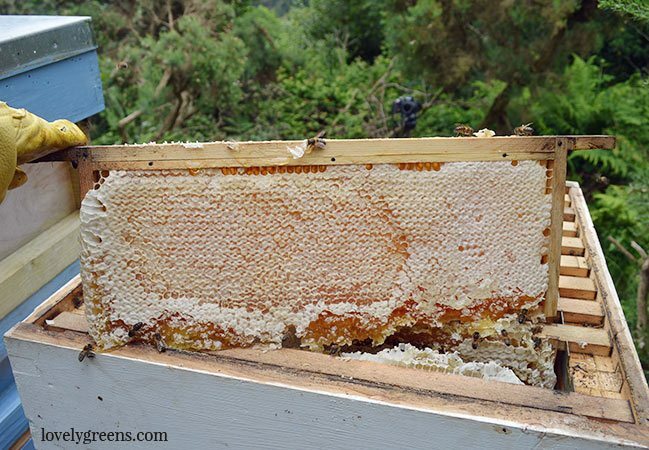 It takes a couple of days for the honeybees to move down through the Clearing Board so I’m waiting patiently. By the time I visit the bees again, the honeycomb that I want to harvest shouldn’t have any bees on it. 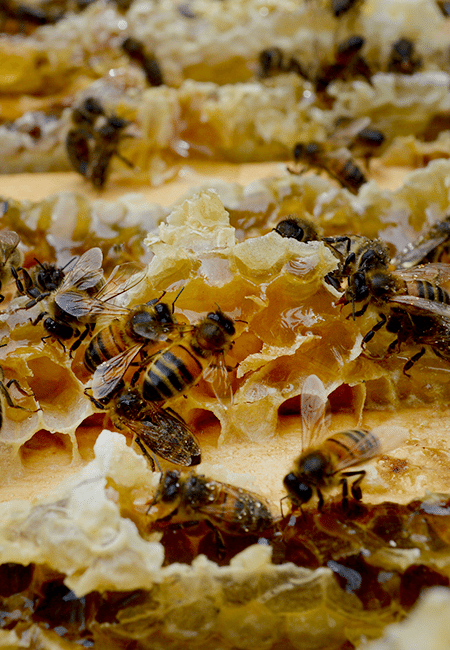 They’ll all be safely evacuated to the lower part of the hive. Afterward, I’ll take the frames to my friend’s honey shed to extract. The boxes are really very heavy so I’m not looking forward to the long walk uphill with 40lb boxes. I’m extracting the honey next Tuesday and then letting the honey settle for a few days before bottling it up. My process is in the video below. If you’re on the Isle of Man and interested in Lovely Greens Honey get in touch with me on Facebook. I’m away for July but happy to sell you honey in August. Cornish Black bees on order. I also started following you for the soap, but will be reading and watching all bee related stuff as shift work stops me attending weekly courses. Love reading all your posts and blogs. I’ll be watching all your videos too.